This ground up 5-story $20,000,000 construction project, located within Temple University’s Main Campus area, has 92 apartments, most of which are four bedrooms and two bathrooms. The first floor features indoor parking and retail space including a grocery store/delicatessen, yoga studio, police lounge, hookah lounge, hair salon, and a pizzeria. 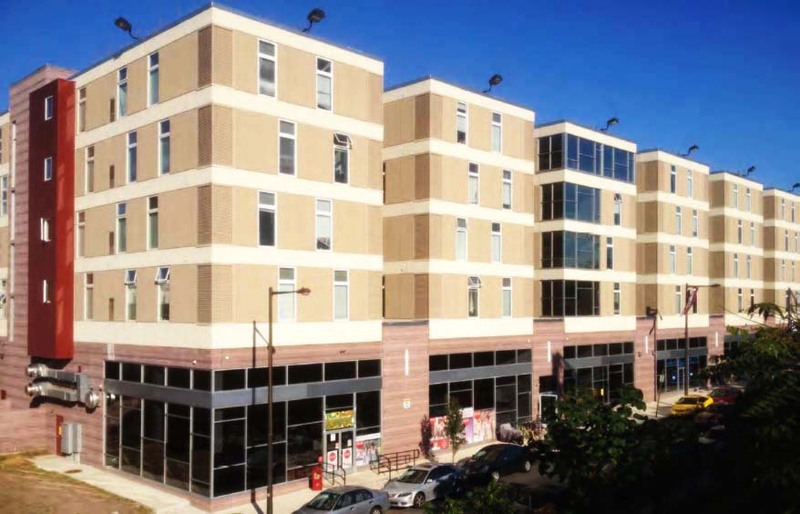 Designed primarily for Temple University students, the residential portion of this building was constructed modularly and was delivered from an off-site factory. The modern design of this building boasts a green roof and decks off most of the units.